I clean, cook and love kids! Want to connect with Tiara? Hello my name is Tiara. I'm hoping to find a babysitter job in or around Martensville, Saskatchewan. I aim to be a hard working, disciplined individual. Available with two weeks notice. Full time, part time. Any work hours is good. I am happy to help with play date supervision, reading books, and bed times, meals and crafts. I also am comfortable working with little ones. I have extensive prior history in the role of caring for children. 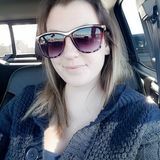 Experienced nanny looking for full-time nanny position in Saskatoon! Nursing Student with a Passion for Kids!